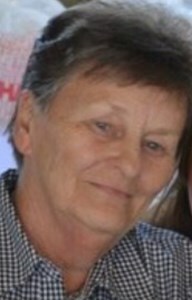 Janet F. Hart, age 80 of Cicero, passed away on Thursday, at home, surrounded by her loving family. She was born on June 12, 1938, daughter of the late Leo and Harriet Flansburg. Janet enjoyed crocheting, quilting and spending time with her grandchildren. She also worked several years at Western Electric. She is predeceased by her husband, Raymond F. Hart, along with stepchildren; Butch Hart & Rex Hart. She is survived by her children; Jodi Tooly, Lori (Terry) Willson, Beth Putnam, Sue (Dino) Del Nero, stepchildren; Randy (Lori) Hart, Carolyn (Rick) Ryan, Robert Hart, Roy (Gabriella) Hart. Catherine Beil, her brother, Dean (Alice) Flansburg, and many grandchildren, great grandchildren, nieces and nephews. Visitation will be held on Monday, December 3, from 4-6pm at New Comer Cremations & Funerals, 705 N. Main St, N. Syracuse, with services at 6pm. Burial will take place at Onondaga Veterans Cemetery at the convenience of the family. In lieu of flowers donations may be made to Hospice of CNY. To share a memory of Janet, or leave a special message for the family, please click the Share Memories button above. Add your memories to the guest book of Janet Hart. So sorry to hear about Janet getting sick and passing so sudden, my thoughts and prayers go out to you all. She was a wonderful sweet person who loved her family. I hope you all get peace from all the memories you all hold. So sorry to hear Debbie and I loved Her she will be deeply missed,BOBBY D.
Grandma Jan was one-of-a-kind, no nonsense little Spitfire of a lady who always made everybody laugh I am lucky enough to have many many fond memories of spending time with her and grandpa when they lived above the sporting good store in North Syracuse and then the the big white house in Central Square. I will always hold the memories close. I love and I will miss you every single day my Granma Jan.
Rest easy and be with all of our angels.. I was so shocked and sad to hear about Aunt Jan. Such a wonderful sweet lady, I enjoyed visiting with her and Brud when I was at my Grams house next door. I wish I was closer to have visited more. I am very sorry for your loss. My thoughts and prayers are with all of you. I remember her always smiling ,friendly and kind.